All prices of Micromax Bolt Supreme 4 Q352 Plus (Silver, 16 GB)(1 GB RAM) in the above table are in Indian Rupee. The Micromax Bolt Supreme 4 Q352 Plus (Silver, 16 GB)(1 GB RAM) is available in FLIPKART. 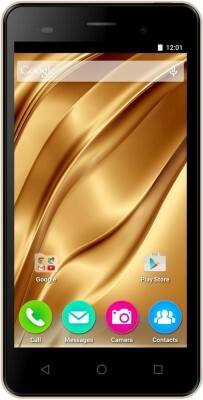 The lowest price of Micromax Bolt Supreme 4 Q352 Plus (Silver, 16 GB)(1 GB RAM) is 3999 in FLIPKART. 3.8 Average Based on 300 Ratings and 52 Reviews. It looks awesome and stunning value for money???????? Very good phone ????? This price ???????????? Good Courier service ????? Like all Micromax products, does its job but lacks finesse. But at this price point, as long as it's works, it's fine. I does work, although because of the low RAM of 1 GB, it's a bit sluggish. Would recommend it for those who want a budget phone. I purchased this mobile for my mother and she liked it. I gave 1 star less because it is little bit heavy and battery is only 2000 mah. It is good option if your budget is around 4000.